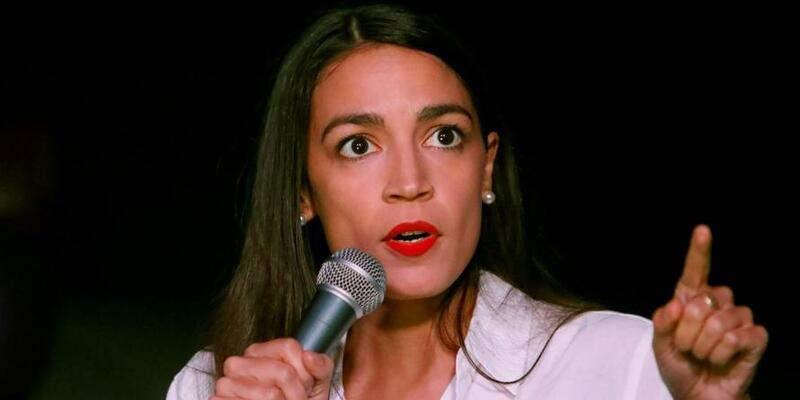 The poor, the homeless, the immigrants, the minorities, and now climate change - Alexandria Ocasio-Cortez (AOC) has now checked another box in her first month as a member of Congress. AOC's climate warpath began a week ago, quoting the Bible after the White House press secretary, Sarah Huckabee Sanders, suggested the US government should leave environmental protection up to God. "I don't think we're going to listen to [AOC] on much of anything, particularly not on matters that we're going to leave in to the hands of a much, much higher authority," Sanders said on Sean Hannity's Fox News program on Tuesday night. She argued that the country should leave the fate of the planet in "the hands of something and someone much more powerful than any of us," presumably referring to God. "'Genesis 1: God looked on the world & called it good not once, not twice, but seven times. Genesis 2: God commands all people to "serve and protect" creation. Leviticus: God mandates that not only the people, but the land that sustains them, shall be respected,'"
And then, just days later, she tweeted on Saturday that the power that tech companies hold in messaging is "societally and economically unsustainable." The past commitments of your companies to address climate change have been well documented. We are encouraged that each of you have pledged to reduce your carbon footprint and have committed other efforts like pursuing renewable enemy,. We need more of this commitment from corporate America. Disappointingly, though, the example you have set promoting sustainability and evidence-based science is compromised by your implicit support of the session organized at LibertyCon. As you are well aware, the spreading of misinformation can be dangerous to our society. Today's coordinated campaign to deny climate change, or to put a positive spin on its effects, Is not unlike that of the tobacco companies which once sought to discredit their product's link to cancer. Their propaganda kept the nation from addressing a public health crisis for years, leading to many preventable deaths. We cannot afford to make the same mistake again with climate change. We must be resolute against granting this campaign any credibility, whether intentional or otherwise. AOC's co-author of the letter, Chellie Pingree, has even more threatening words for the mega tech CEOs: "Corporations can’t be complicit in denying climate change. @Facebook, @Microsoft, & @Google have made public commitments to reduce emissions, but their sponsorship of a conference where climate change denial was promoted is dangerous and troubling to me." So how long before corporations' "free speech" to sponsor a conference is government-mandated as "hate speech"?